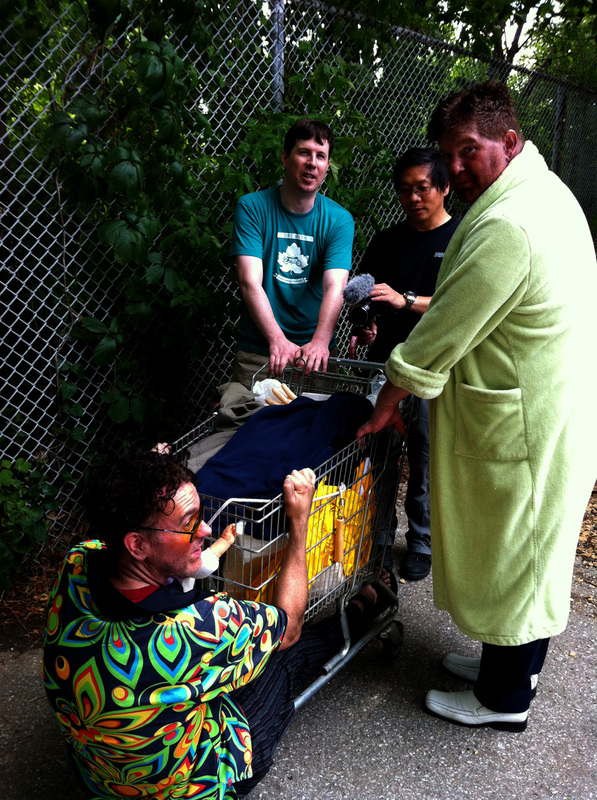 The following day we wrapped the final opening and exterior scenes with Neil in hobo mode before relocating down to our Hock Shop location cheerfully open and donated by the Hock N’ Shop on Queen Street East (plug, plug). Friend and first time 416er Stacey Iseman joined the crew and wrapped our shoot weekend within an hour and a half. Hit the marks and hit the lines. We still have a few scenes to shoot, some effects to do. So…with our track record…somethin to peruse by 2015.